Mother’s Day Gift Ideas that are Better than Flowers! Mother’s Day, one of our favorite days of the year! A day where you celebrate the love and care your mom has given you from the day you were born. This day is for celebrating Moms and all of the sacrifices and support they have given over the years. Instead of boring cliché flowers, that every mom on the block will have, why not give her something that she can cherish for years to come? 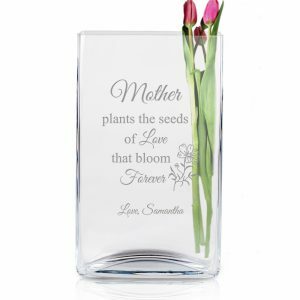 Here at Memorable Gifts, we have compiled a list of great Mother’s Day Gift ideas better than Flowers! From a pancake breakfast in bed to a four course gourmet meal made at home, cooking for your Mom can be a sweet sentiment. Between all of the holidays and regular every day dinner, she has done her fair share of cooking for you! Surprise her with her favorite meals or dishes all cooked from scratch and with love! 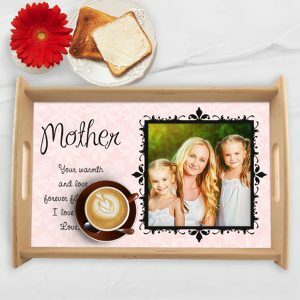 Present her meal with this personalized serving tray, adorned with her favorite photo and a sweet message to make the surprise gesture even sweeter! Treat her to a special day of relaxation and pampering, everyone knows she deserves it! From a Mani/Pedi to a full body massage or facial, a day to take time for herself is much needed! Help watch the kids or do her daily chores so that she can escape reality and relax. All moms deserve some peace and quiet time for themselves, a day to remind them how strong and beautiful they are! Mom’s always keep trinkets, drawings, cards and photos from their children’s early years. Handmade cards and drawings from school, photos of special memories to even first teeth and first curls! For a special and thoughtful gift, collect her favorite trinkets, previous mother’s day cards or drawings and photos and put them in this personalized keepsake box. Adorned with flowers, her favorite photo on the lid and a special message, this gift is sure to bring her to tears! A thoughtful trip down memory lane is truly a gift she will treasure for years on end. A special surprise getaway can truly be a gift she will never forget! Send her off to explore and create new memories that she will cherish forever. Send her off to reconnect with herself and her significant other, for a truly thoughtful gift. Whether a tropical getaway or a trip across the country to see family, she is sure treasure the memories made. A personalize Luggage Tag makes the perfect surprise gift to send her off for adventure! If all else fails, flowers are not a always a bad option. Spruce up the boring bouquet with a handmade DIY flower arrangement and a personalized Mother’s Day vase. Adorned with spring flowers and the sweet saying “If Moms were flowers, I’d Pick you..” this makes the perfect vessel for flowers! Make a DIY bouquet out of her favorite flowers and greens to truly make this a special handmade gift! Here are some Tips and Tricks on creating the best arrangement and the best part is that she can use the vase for all the Mother’s Day Flowers she gets in the future! Mother’s Day is coming around the corner and will be here faster than you know it! How will you show your love and appreciation this year? There are so many ways to show mom that you care. With a thoughtful gift, homemade dinner where she didn’t have to lift a finger or even a pampering spa day! This year, instead of the cliché flowers that every Mom on the block will have; try one of our personalized gifts specially made for mom! How do you celebrate the special Moms in your life? How do you plan on making this Mother’s Day extra special? Mother’s day is coming and every mother deserves some recognition and love! Mothers are the glue of the family and are always there to pick you up when you fall and pat you on the back when you succeed. From Moms to grandmothers to step moms, they play an important role in all of their children’s lives! Mother’s Day, is a day that should stand out and a general day of thanks and recognition. This year, we have curated brand new gift ideas and designs for this special day. From the American Classic China Company, Lenox, these white porcelain trays are sure to dazzle. Classic and refined, this tray is sure to match any home décor. 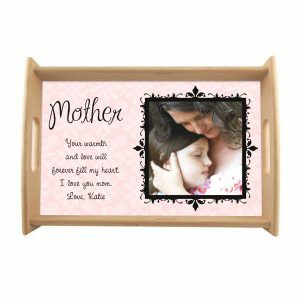 Engraved with their family title and heartfelt message, this tray makes the perfect addition to any mantle or entryway. The delicate vine detailing on the rim of the tray, truly makes this a truly one of a kind piece. 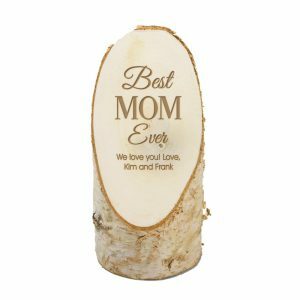 A unique and fun way to celebrate mom and everything she does is with this Best Mom Ever Natural Birch Wood Plaque. This angle cut piece of natural wood is free standing and will fit on any shelf or mantle. 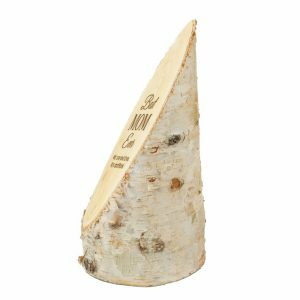 This gift makes the perfect match for the rustic style or farmhouse décor and will be displayed with pride! Personalize the bottom message to make this a really special gift. Mothers are truly a blessing to our lives and created a safe home base for us. Show her your gratitude for being such a blessing with this Personalized Tea Light Candle Holder. Adorned with the saying “Home is where Mom is” could not be a truer statement. The black mirror finish is sure to compliment any home or office décor. Mother’s deserve the world in return for everything they do, but don’t always get that recognition. 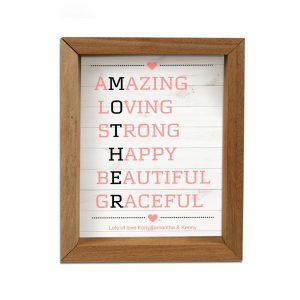 Show your mom everything that she is, loving, strong and beautiful among other things, with this special Mother’s Acronym Framed Shadow Box. Reminiscent of elementary school art and mother’s day projects, this heartfelt acronym is sure to be a tearjerker. This shadow box will be hung with pride on any mantle or shelf in her home for years to come! Mothers always keep small trinkets and treasures from their kid’s childhood. Whether its macaroni bracelet from the first grade or a graduation photo, they are memories they cherish forever. 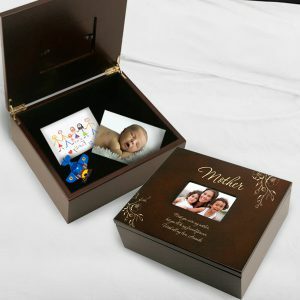 Help them keep those memories safe with this personalized Keepsake Photo Box. The photo frame on the top of the box makes the perfect display for her favorite photo or even her favorite childhood artwork. 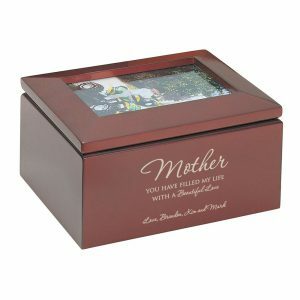 Adorned with the word “Mother” and the sweet saying “You have filled my life with a beautiful love” this box is a gift she will never forget! Mothers are truly a blessing and deserve to be recognized. 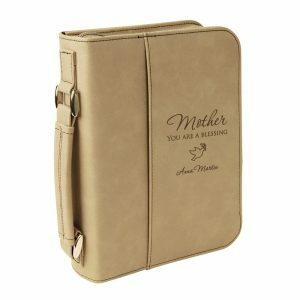 Honor the faith she instilled into you with this special personalized bible cover. 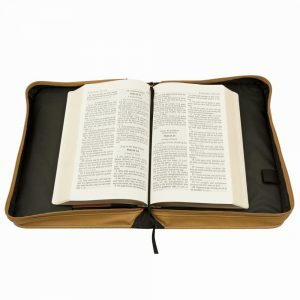 Help her worship in an organized way with this sturdy bible cover. Adorned with a dove wielding an olive branch, the ultimate symbol of peace and faith, this cover is sure to be treasured. Personalize with her name or a special passage to truly make this a gift to be used daily. From fancy spa packages to handmade macaroni art, there are so many great gifts that the special mom in your life will love. This year, get her something to cherish for rest of her life; something that she can display with pride and affection and remind her of the love of family! Our new gift ideas will bring any mom to tears of joy and pride and will be cherished for years to come. We are sure to have a Mother’s Day gift for all the important mothers in your life! How do you celebrate Mother’s Day in your family? Do you have any special traditions? To honor Mother’s Day 2017, Memorable Gifts would like to highlight all of the New Celebrity Moms of 2017. Mother’s day is a time old tradition of honoring our mothers and everything they have done for us. Celebrating motherhood and the special bond that mother and child share is a vital part of this special day! Although this holiday is for all moms we would like to take the time to congratulate new moms that are celebrating their first Mother’s Day. A first Mother’s Day is a truly inspiring time it can be both scary and exciting as well as an opportunity to reflect on the joys of your new life and new family. Here are five celebrity women that share the joy of their First Mother’s Day! Janet Jackson, 50, and her husband Qatari businessman Wissam Al Mana welcomed their first child, in January of 2017. 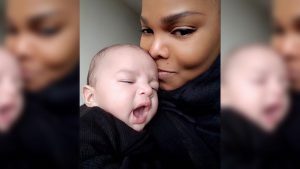 Thanks to a stress-free and healthy delivery, Janet and her baby boy Eissa will be celebrating their first Mother’s Day this year. 50 never looked so good! Congratulations Janet! Power couple Irina Shayk, the famed Victoria’s Secret Angel and award winning actor Bradly Cooper just welcomed their new baby girl, Lea de Seine Shayk Cooper this April. Such a beautiful and unique name for a such a genetically blessed child. Congratulations to the star studded couple that managed to keep details of their growing family under wraps. 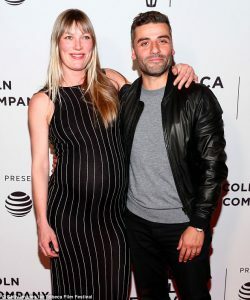 The Promise and Star Wars Star Oscar Issacs and award nominated director Elvira Lind welcomed their first child into the world this week! Such a special surprise after her project Bobbi Jene Won multiple awards at the 2017 Tribecca Film Festival. Congratulations to the happy parents as they have so much to celebrate! Last but not least is tennis champ, Serena Williams! She announced her pregnancy with her finance, Reddit founder Alexis Ohanian, just a couple of weeks ago. The power couple is expecting their new bundle of joy later this year in September. Welcome to the new mommies club Serena! 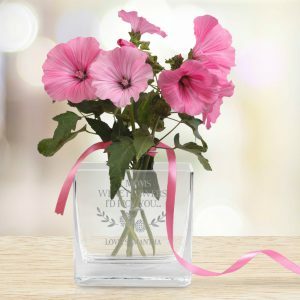 Here at Memorable Gifts we celebrate all of the special moments in life and are glad to help you celebrate Mothers Day! 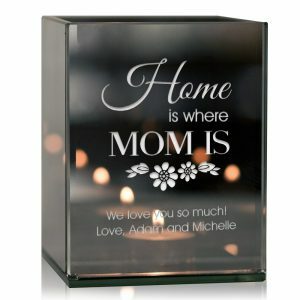 Find some unique gifts and ideas for Mothers Day to help celebrate new moms and experienced moms this Mother’s Day Weekend! 6 Unforgettable Gift Ideas for Mothers Day! Mother’s day is just around the corner and it’s time to start thinking about how to honor those special mothers in your life. Whether you decide on a small keepsake Or a Sunday brunch with the family, choosing a gift is always the hardest part of this special holiday. Personalized and thoughtful gifts have true modernity unlike a gift picked up from your local mall. Even if it is just something small like a jewelry box or plaque. 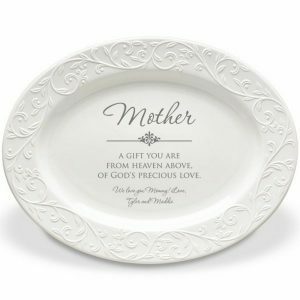 Celebrate her with one of these personalized gifts that will truly impress and surprise any Mom. Especially for the Mom or Grandma who seems to just have it all. Accompany boring flowers with this sleek and modern vase. Measuring at 6″x 2.5″x 10″, this vase sure to match any decor. Eventually Flowers will die, but this vase she can keep forever and continue to use as a constant reminder of your love and gratitude for her. In a deep chocolate brown, this wooden keepsake box will steal her heart away and be a place to keep all her important memories. 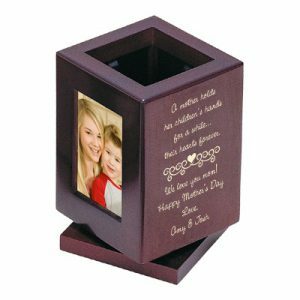 Measuring at 9″ x 7 7/8″ x 3″, this box displays a 4″ x 2″ x 3/4″ on the lid, perfect for her favorite photo. This box is truly versatile, large enough to fit letters and photos and special enough to hold family keepsakes and jewelry. Measuring 5″ x 5″ x 7/8″, this deep red heart shaped acrylic plaque is the perfect gift to showcase the unconditional and lifelong love you want to thank her for each and every day. Personalize the message to truly make it a gift she will treasure forever and never forget. This custom photo serving tray is truly a gift that is both beautiful and functional. Imprint your favorite picture and a heartfelt saying to truly make this gift unforgettable. Measuring at 10-1/2″ x 14-1/2″ and constructed of natural wood, this item us sure to be used again and again over the years. 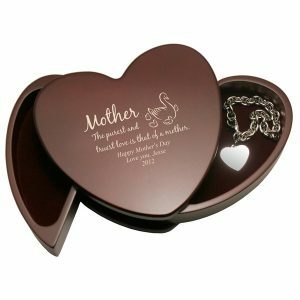 Show your mom how much you love her with his unique and sophisticated heart shaped keepsake box, designed especially for Mom. Engraved with the sweet saying “The purest and truest love is that of a mother”. Measuring at 6″ x 6″ x 2″, With split trays, she will be able to access her favorite jewelry and other small items easily. Perfect for the working mom, who can keep this unique and practical gift displayed on her desk. This rosewood pencil cup swivels to reveal three 2″ x 3″ photos and is engraved with a heartfelt message, and will surely impress and be the talk of the office. 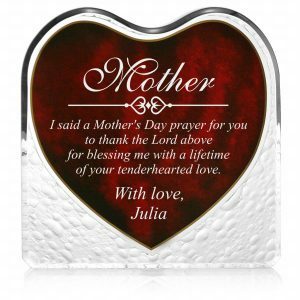 A personalized gift for your mother is something that is truly special and she will cherish it for years to come.